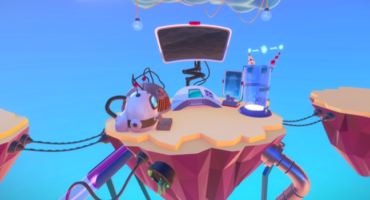 Welcome to the final round of our first Progressive Challenge, a new type of challenge that draws on the many skills of our community members to take a model from idea to completion in four neat steps. 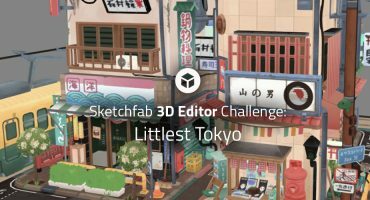 We have a winning animation from the 3rd round, and now it’s time to make it look even better using Sketchfab’s 3D Editor. TL;DR: Download the winning entry from the last round, upload it to Sketchfab, make it look great using the settings in the 3D Editor, and tag it #MythCreature-3DEditor. Download the FBX version of the winning model from Round 3. Upload the winning model to your Sketchfab account and tag it #MythCreature-3DEditor. Edit the look and feel of the model using the tools in Sketchfab’s 3D Editor. To learn more about what you can do with the editor, check out the Help Center. Based on "[Arachne, Weaver of the Gods](https://sketchfab.com/3d-models/arachne-weaver-of-the-gods-1eafa0bf9508469eb9553a763aebbdd9)" by [toomanydemons](https://sketchfab.com/toomanydemons), and "[MythCreature Round 2, Arachne](https://sketchfab.com/3d-models/mythcreature-round-2-arachne-for-download-b414583861b24c94841f2b47e70fd89a)" by [Wiktoria Kubien](https://sketchfab.com/wiktoria.kubien), and "[MythCreature Round 3 - Animation](https://sketchfab.com/3d-models/mythcreature-round-3-animation-d2b0caa77a41441fbf8a0357eaebd67b)" by [Ozhogi](https://sketchfab.com/ozhogi) licensed under CC Attribution. Once you’ve created your scene, tag it #MythCreature-3DEditor. Share what you’re planning to create on your own WIP thread in the forum! Contestants’ models must be uploaded to Sketchfab and tagged #MythCreature-3DEditor to be considered. The winners will be contacted by Monday, May 6, 2019.